Ventricle Software Systems has delivered outstanding HealthCare analytic solutions to both large IPA networks and Hospitals throughout the United States. We leverage a long history of successful software development and project delivery to focus on the HealthCare Industry. The Ventricle Software team has been a leader in software development and technology deployments for over 30 years. We focus on solution architecture as a cost effective way of developing solutions that can evolve with the needs of the client. We have over 15 years of Healthcare expertise including Hospital comparative contracts analytics, quality analytics, information portals, HIPAA compliant messaging, Physician Information Portals, and more. We bring a wide range of expertise and experience from industries including retail, distribution, entertainment, pharmaceuticals, banking, electronic commerce, and gaming to the advantage of Healthcare where many of the techniques have not yet been applied in this critical industry. We bring tremendous success in delivering projects and solutions to customers and a focus on customer satisfaction to precision delivery for HealthCare. 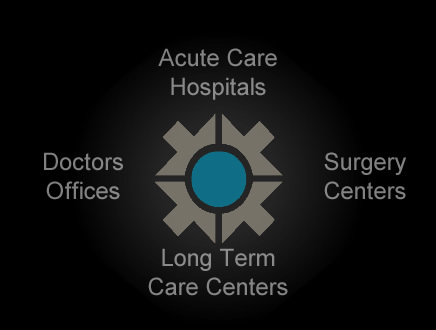 We bring successful deployments of our Architecture, Design, Development and Deployment experience in: Clinical application, Operational Information Portals, Physician Information Portals, Pay for Performance solutions, Hierarchical Condition Category solutions, Integrated Disease Management solutions, Workflow automations solutions, Data Integration solutions, and Data Warehouse solutions.